eGiving is a valuable and growing resource. 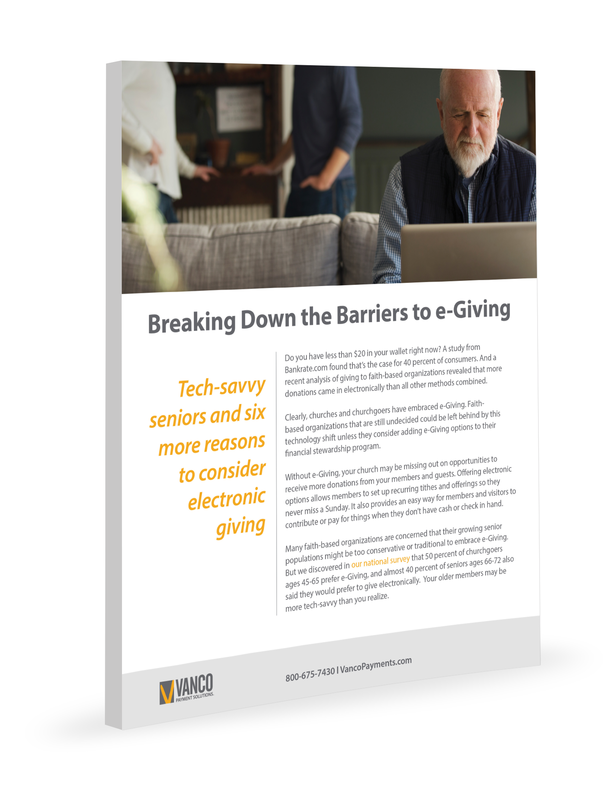 Faith-based organizations could be left behind by this technology shift unless they and their congregations consider combining eGiving along with traditional methods. To help break down the barriers that may be keeping your congregation from increasing the donation plate, read this article that addresses seven common concerns that have taken on near-mythical status. • Will eGiving make it hard to track payments per donor?